Getting the diaper bag packed, socks, shoes, and jackets on both kids. Walk to the car with a diaper bag, baby, and toddler. Take the coats off. Wrestle with first child to buckle him in his car seat. Walk to the other side of the car and repeat with second child. By the time I get to the driver’s seat, I’m quite literally sweating and out of breath. I get a few minutes of “rest” while we drive to the destination. 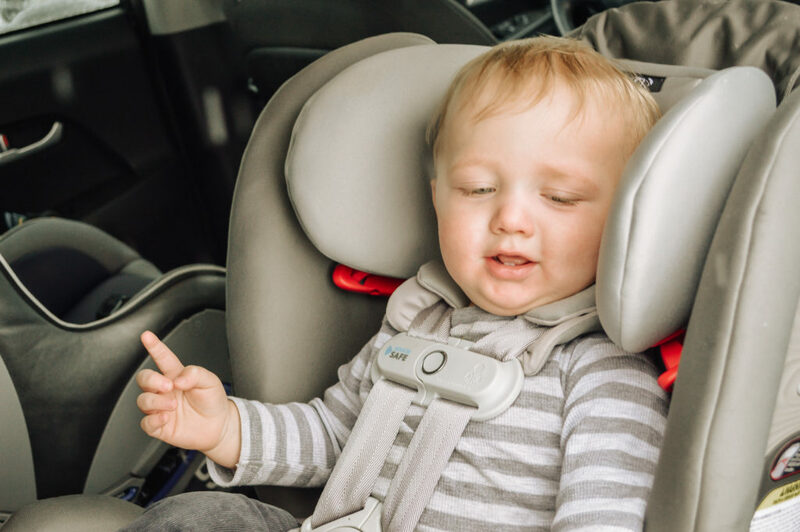 When we arrive, it’s grab the diaper bag, wrestle with first child to unbuckle him from car seat, walk around to the other side of the car and repeat with the second child. Then comes the question…do I take the extra 5 minutes to get out the stroller, and wrestle Oliver to buckle him into it? Or do I go stroller-less and risk my arms going numb from carrying him the whole time, or chasing him around the store? 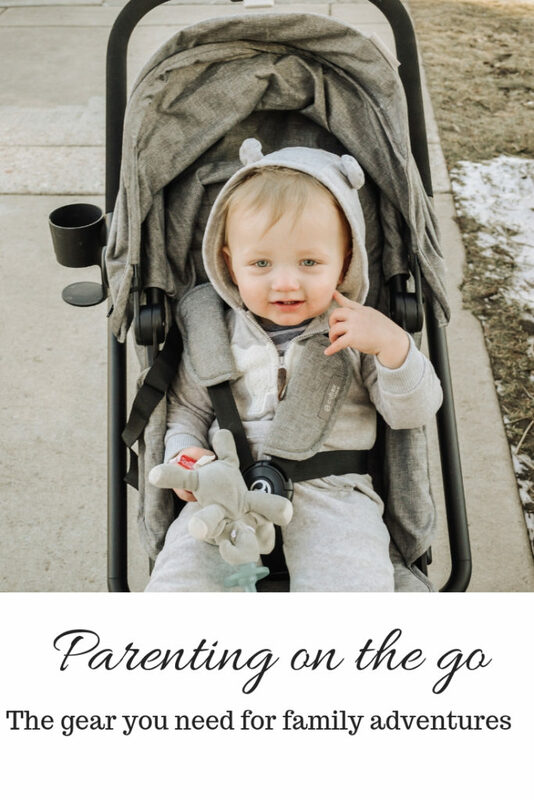 That’s the thing with strollers, no matter how convenient they may be, I don’t always want to take the time to set them up when I’ve reached my destination, but Cybex makes that easy. We’re currently loving 2 products from Cybex. 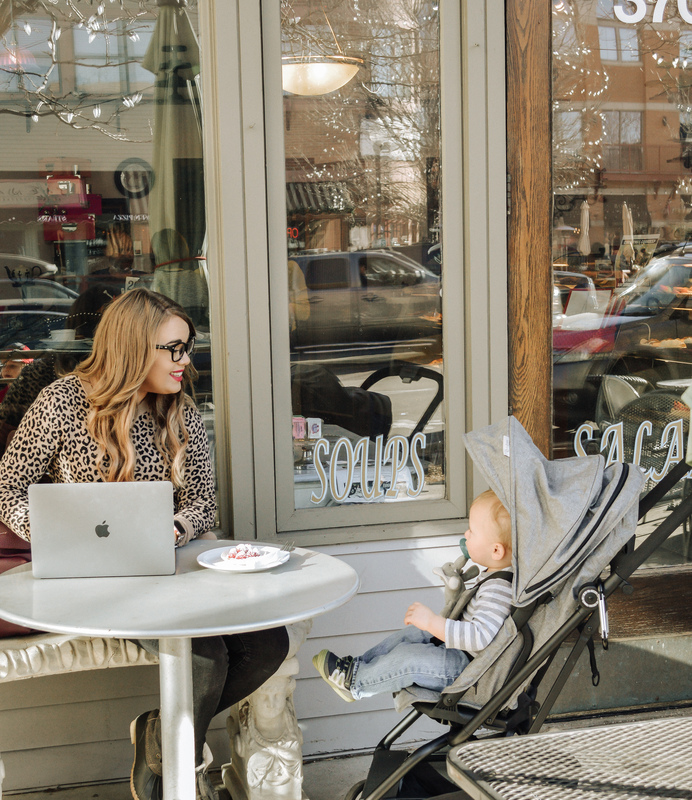 The Eezy S Twist Stroller and the Eternis S SensorSafe Car Seat (more on that later). The Cybex Eezy S Twist Stroller makes traveling anywhere a breeze. It folds up so small, is incredibly compact, and unfolds so easily. It completely solves my dilemma of not wanting to set up the stroller when I reach my destination. It has a one hand rotation seat, so Oliver can face towards me or away from me, smooth all wheel suspension, and multiple recline function for on the go naps. I gotta tell you, now that Sawyer, my 3 year old, isn’t relying on a stroller as much, it’s so nice to push around a single whenever I can! Double strollers can be so much bulkier and harder to navigate at times. 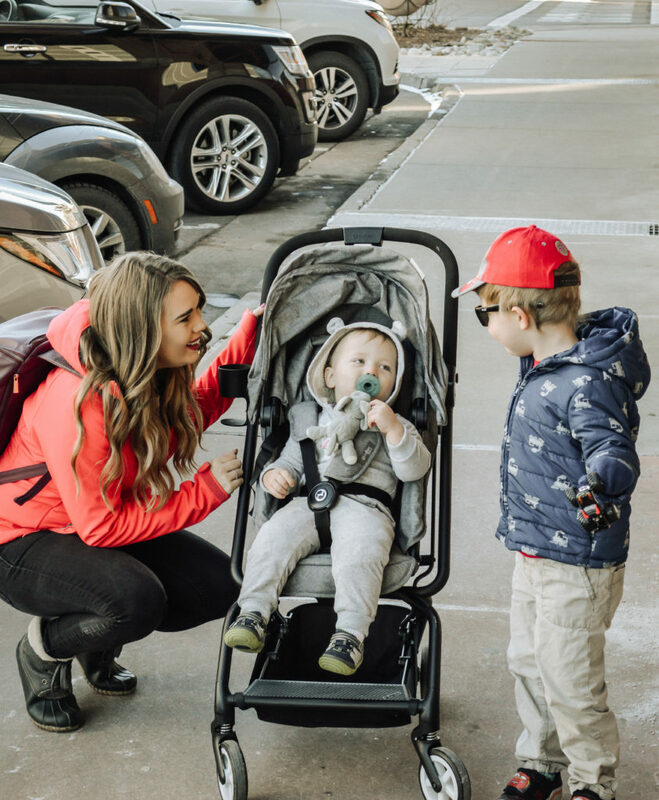 The Cybex Eezy S Twist makes traveling with a little one simple whether you’re navigating through the airport, strolling through town, or checking out the local zoo. It can go with you anywhere and simplify your life as it does. Another Cybex product we’re loving is the Eternis S SensorSafe Car Seat. SensorSafe has got to be one of the most incredible innovations I’ve encountered as a parent thus far. 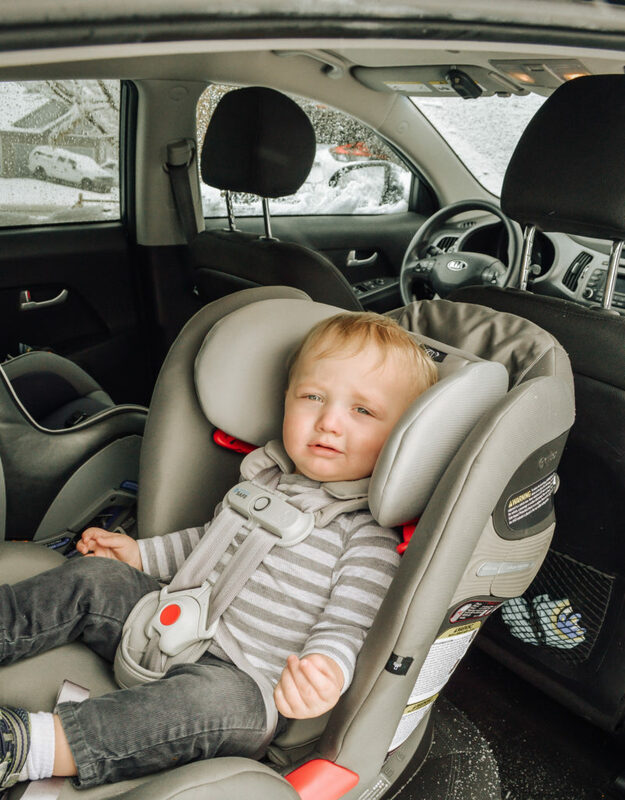 If you’re able to invest in a car seat that’s compatible, you should go for it. SensorSafe technology communicates with you via an app on your phone and a sensor installed in your car’s OBD port, to alert you to potentially dangerous situations. 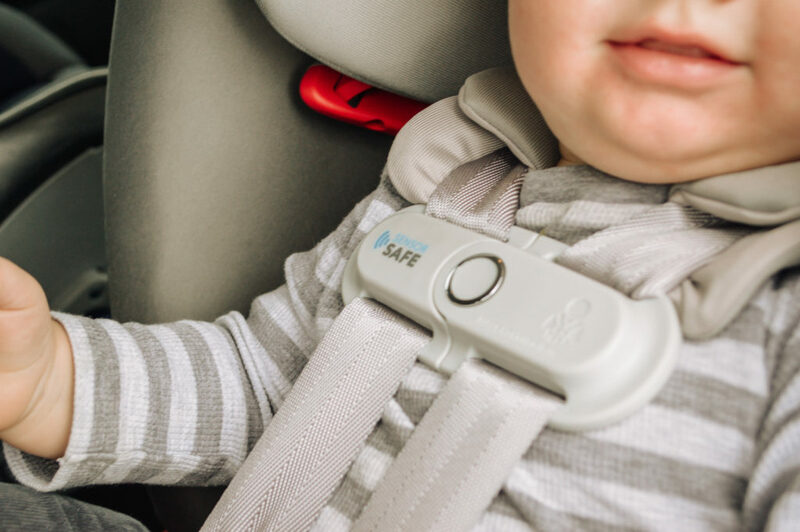 It will let you know if you child unbuckles the chest clip while the car is in motion, if the child has been seated too long, if the car gets too hot or too cold for baby, and if you exit the vehicle without your child (aka this will hopefully prevent parents from accidentally leaving their children in the car- an often fatal mistake). It will also notify your emergency contacts if it alerts you to one of these problems and no action is taken. Absolutely revolutionary, and could potentially save a lot of children. While the SensorSafe alone sold me on the Cybex Eternis S, there are many other great features. It is convertible and suitable from birth up to 120 lbs. This is the only car seat you’ll ever need to buy. It can be used for rear-facing, forward-facing, and convert to a booster. It has a 12 point headrest system, 5 point harness, linear side-impact protection, and more. Sometime’s as parents, we get busy and flustered. Cybex products are here to make things easier for so many of us! 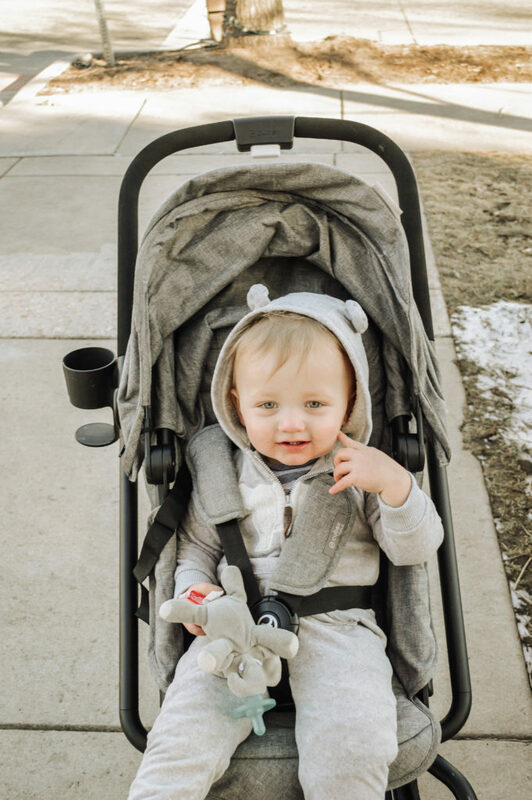 I love that the Eternis S Car Seat helps to keep my child as safe as possible and that the Eezy S Twist stroller makes set up and break down so easy, I can do it one handed (which is often necessary with a 1 year old on my hip). 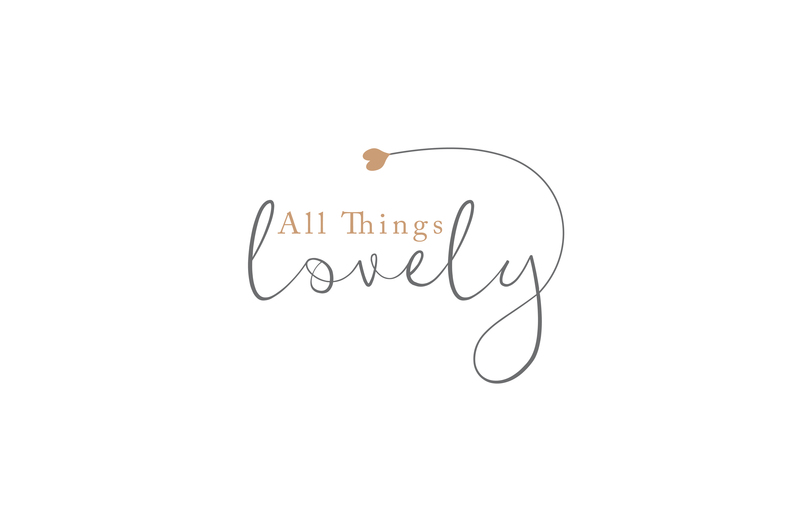 These products are wonderful, whatever your needs are. Whether you’re exploring the globe or running to the store! Loving this Cybex car seat and stroller review for the on-the-go parent? Click here now for more parenting essentials! !